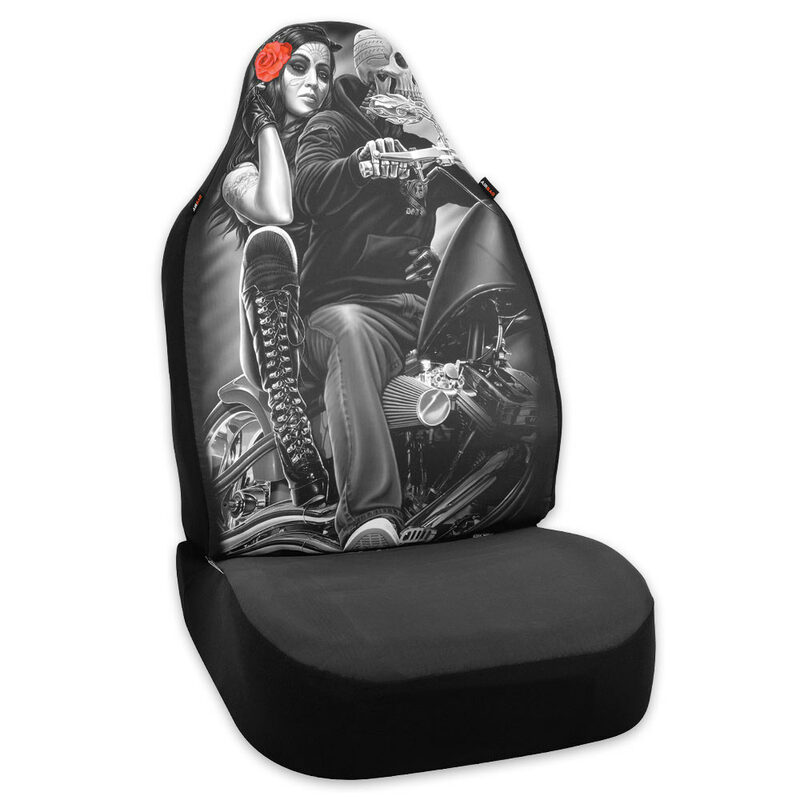 Bell Automotive David Gonzales "Ride or Die" Microfiber Seat Cover | BUDK.com - Knives & Swords At The Lowest Prices! The “Ride or Die” seat cover from Bell Automotive features distinctive, vibrant black and white imagery created by California urban artist David Gonzales. Sublimated on lightweight yet durable microfiber, the striking graphic depicts two bikers - one a leather adorned skeleton, the other a dark haired beauty - cruising Route 66, passing the iconic buttes and mesas of Monument Valley. Through his striking works, Gonzalez has brought authentic Chicano "lowrider" culture into the public view like no one else before him, and this cool, one-of-a-kind microfiber seat cover is a great example. It resists moisture, staining and tearing and is easy to clean, so it will enhance your vehicle's interior for years to come! Fits most standard vehicle seats.